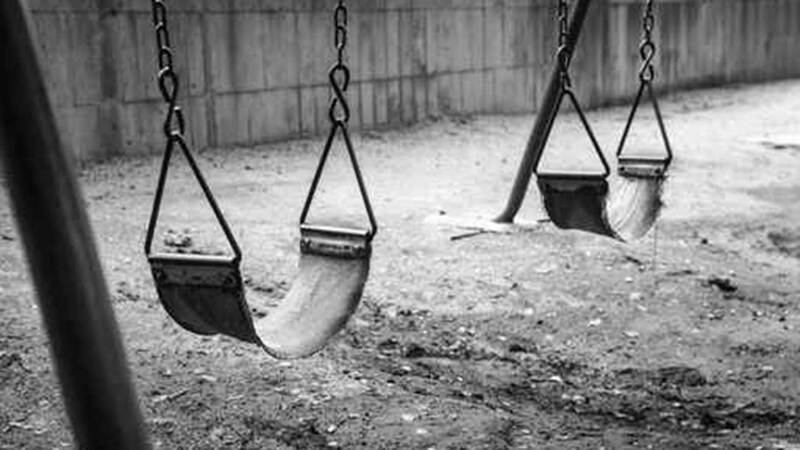 GILBERT, Ariz. -- Authorities in a Phoenix suburb say a 7-year-old girl is dead and a 14-year-old girl is hospitalized after a backyard swing set broke apart. Gilbert polices Sgt. Jesse Sanger says firefighters responded to a home around 9:30 a.m. Sunday and found both girls with head injuries. Sanger says the 14-year-old was on the swing and the younger girl was standing nearby when the swing snapped at the base. He says the both were knocked into a swimming pool. The 7-year-old died while being airlifted to a hospital. Sanger did not know the 14-year-old's condition but said she also suffered damage to her shoulder. Neither girl lived at the home nor were they related. Sanger says there were adults present and so far, it appears to be a very unfortunate accident.